It's hard not to sound biased sometimes when I write about restaurants, cos a lot of the ones I go to and love, are run by friends of mine. But that's never what sways me. What makes me love any restaurant is the food. That's why I go. To eat good food. Sure, the service and ambiance and drinks list all add to it, but ultimately, for me, it is always about the food. Which is why I've totally fallen for Summers. Yes, it's run by a mate, and yes, I got invited to try the food for free, but do you know what, I'll be going back and paying my hard earned money to eat there over and over again. Summers is a dining room above the Sir Colin Campbell pub on Kilburn High Road. It's not the most glamorous location, and possibly not the easiest to get to, depending on where you're coming from, but you should make the journey and go. The "shabby, not quite chic, in the best possible way" dining room holds 20 covers. 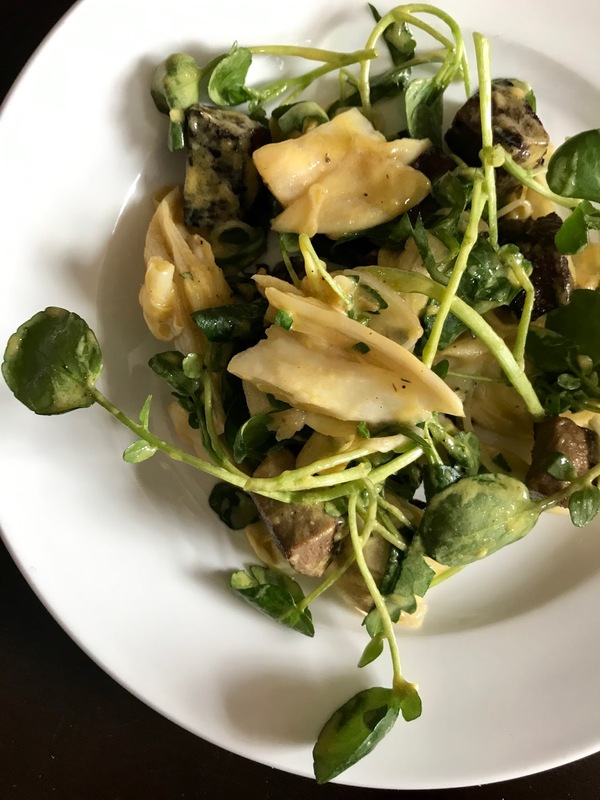 The menu of small to large plates changes daily, showcasing the best of the British produce available, and the wine list offers easily priced bottles at £25, £35, £45 and £55. 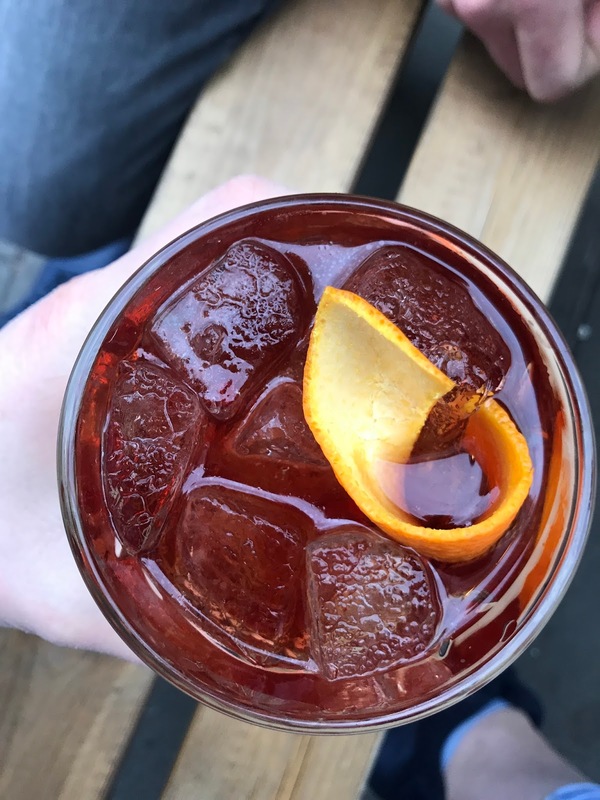 And they make a mean negroni. We picked a few bits off the menu, but could've worked our way through the whole thing had we been there with another couple to help share the load! Ox tongue, chicory and watercress was mustardy and rich and tangy. I know so many would steer clear of tongue but done as well as it is at Summers, it's absolutely worth ordering. 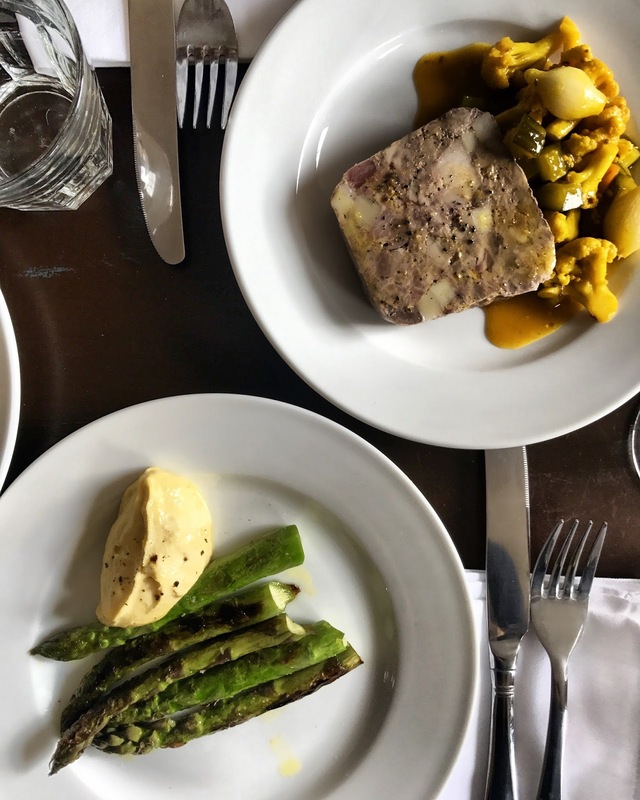 Rabbit terrine with homemade piccalilli and chargrilled asparagus with smoked cod's roe really tickled my tastebuds. Two plates of food heaven right there. The terrine was rich with liver and perfect with pickly piccalilli while the asparagus were just cooked and ideal vehicles for mopping up one of the best versions of taramasalata I've tried. The sourdough that came with these two was also up there in mopping-up-vehicle stakes. With melting, soft, salty English churned butter. The menu at Summers isn't really divided into starters and mains but you can work out how much food you'll get from the price of each plate (they range from £7.50 to £25, for a pie for 2). 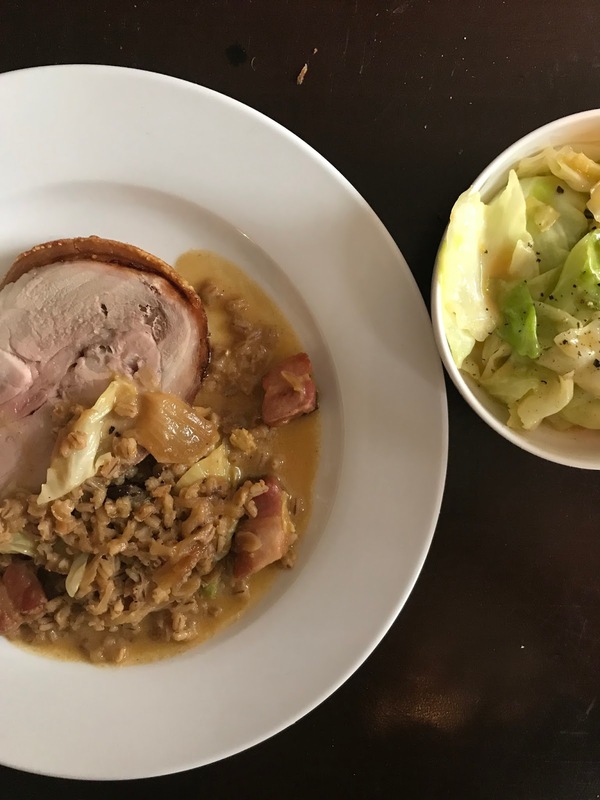 The larger plate we had was roast Middlewhite pork with pearl barley, hunks of smoked hock, and a side of buttery, peppery hispi cabbage. 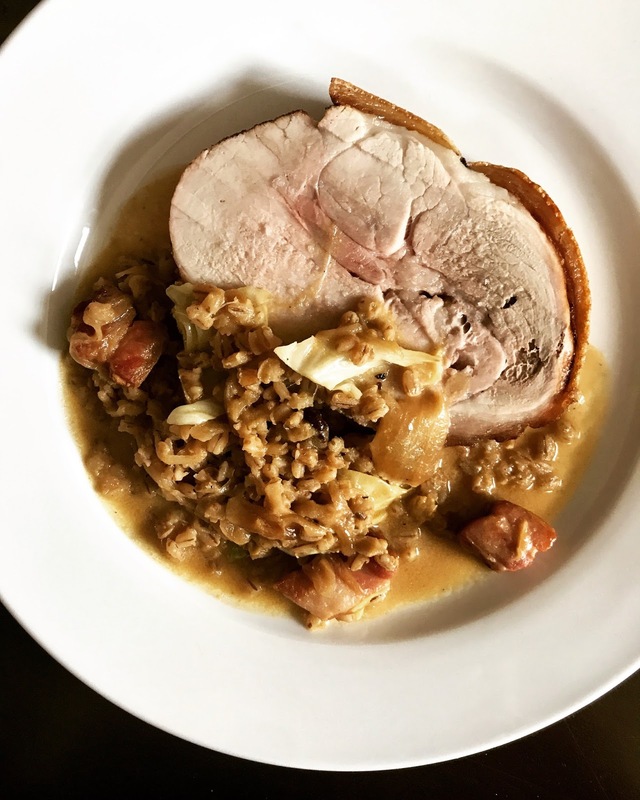 THE perfect alternate Sunday roast. The meat was juicy, and so expertly cooked, with a crunch of crackling all the way round, and still pink in the middle. We could've gone for the pie instead, the contents of which change regularly. 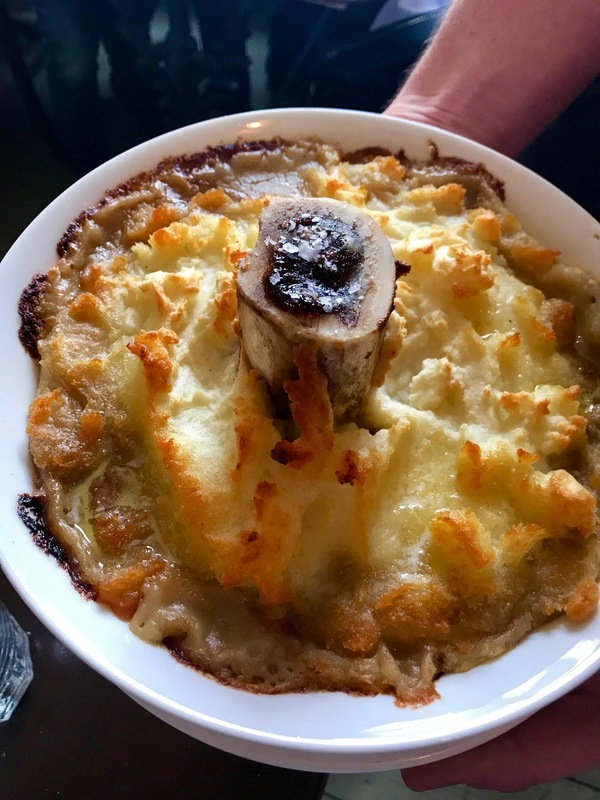 On our visit it was a beef and bone marrow cottage pie, and it's currently listed on their website as lamb neck, potato and ale pie. Apple crumble for pudding, because Sunday. And because after saying I'd stick to cheese, then trying one bite of the crumble I proceeded to eat nearly the whole thing. The best apple crumble I've ever had. By far. 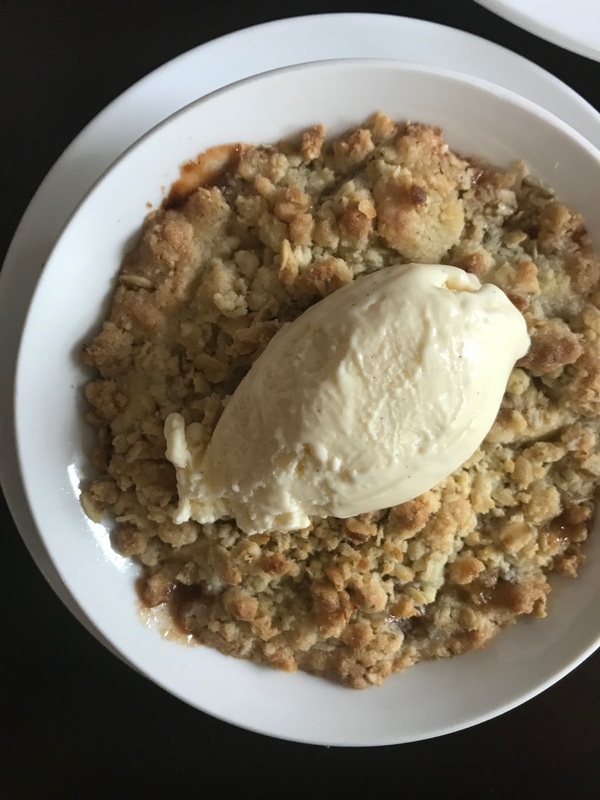 Vanilla sweet apples, which tasted like Russets, that still held a bite, topped with buttery, crunchy and soft crumble mixture and a spoonful of smooth vanilla ice cream. And then the cheeseboard. 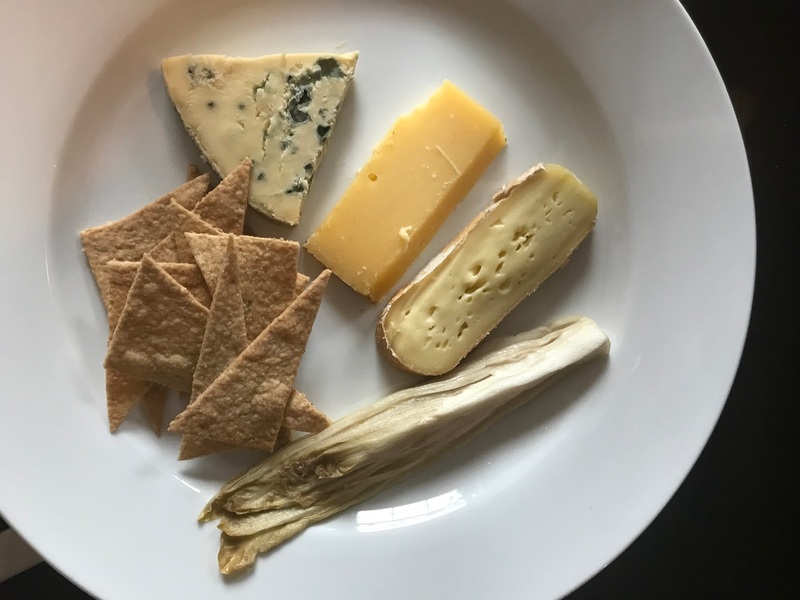 Three types of Irish cheese - Cashel Blue, Mossfield hard cheese and soft, squidgy, slightly stinky (in a good way) Durrus. With buttermilk crackers and pickled chicory. Thank you Greg and Ruairidh for opening my new favourite North London restaurant. I've got a feeling this is going to be one of my regular haunts!